It is important to remember that the BT Toxin is not ON the corn husk, but IN the corn, itself. * Non-GMO corn has 6130 ppm of calcium while GMO corn has 14 – non-GMO corn has 437 times more calcium. * Non-GMO corn has 113 ppm of magnesium while GMO corn has 2 – non-GMO corn has about 56 times more magnesium. * Non-GMO corn has 113 ppm of potassium while GMO corn has 7 – non-GMO corn has 16 times more potassium. 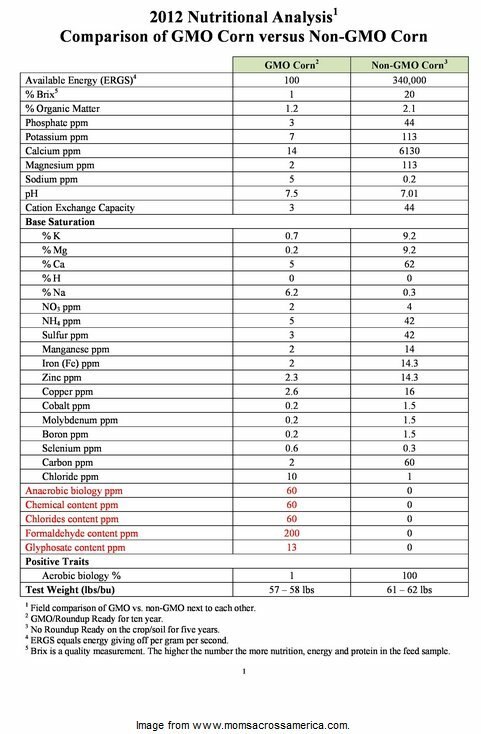 * Non-GMO corn has 14 ppm of manganese while GMO corn has 2 – non-GMO corn has 7 times more manganese. Not surprisingly, the report found what many of us already know – that GMO corn is highly toxic. 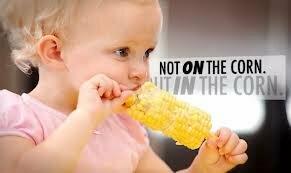 While non-GMO corn was found to be free of chlorides, formaldehyde, glyphosate (active ingredient in Monsanto’s best selling herbicide Roundup), and other toxic substances, GMO corn is riddled with these toxins. Based on the Environmental Protection Agency’s regulations, the maximum amount of glyphosate allowed in drinking water is 700 parts per billion, which equates to .7 ppm. The amount is a set “level of protection based on the best available science to prevent potential health problems”. Europe allows even less glyphosate in water, at .2 ppm. The report found that GMO corn contains 13 ppm – that’s 18.5x the “safe amount” set by the EPA. Similarly, GMO corn contains concerning levels of toxic formaldehyde, at 200 ppm. According to Dr. Don Huber, a respected expert on GMOs, at least one study found that 0.97 ppm of ingested formaldehyde was toxic to animals. The GMO corn was found to contain 200 times more formaldehyde than this ‘maximum’ safety amount. Monsanto has been making the claim for years that genetically modified foods are equivalent or even of higher quality than non-GMOs, but nothing could be further from the truth. 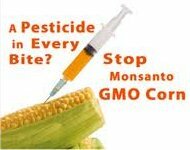 Numerous studies have shown us the dangers of GMO foods such as GMO corn, along with the dangers of the massive amount of pesticides that accompany GMO crops. This 2012 report reminds us once again that corporations like Monsanto simply can not be trusted, and that the company will continue making false claims until the end of days in order to profit and slowly genetically engineer the world. 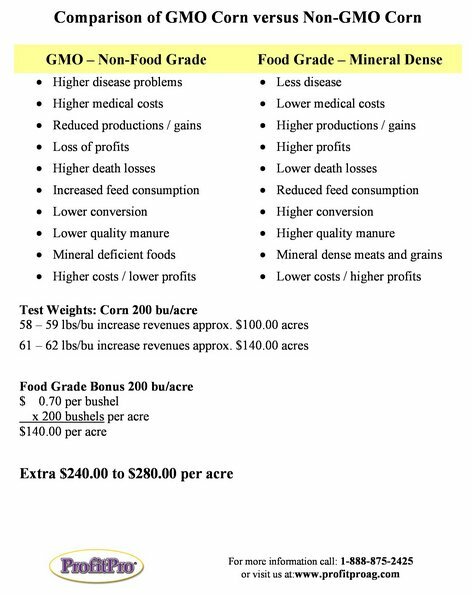 The 2012 report 2012 Nutritional Analysis: Comparison of GMO Corn versus Non-GMO Corn, was reportedly shared with the owners of MomsAcrossAmerica.com by De Dell Seed Company, the only non-GMO seed supplies in Canada. De Dell Seed Company received the document from a company called ProfitPro, based in Minnesota. 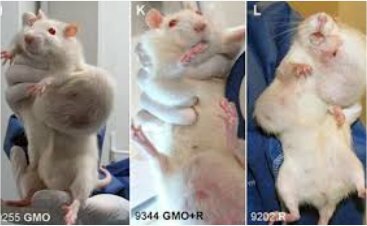 According to the UK publication, The Grocery, rats who were fed a diet of Monsanto GMO Corn experienced devastating side effects. Without any longitudinal studies on the long term effects of ANY GMO, we can expect a rise in any of the side effects or disorders as mentioned above. The only way to resolve this issue is through boycotting all GMO products. In the meanwhile, mandatory labeling of GMO products would be helpful, as well.